JBL Bar Studio heeft als beoordeling 4.2 van de 5 door 73. 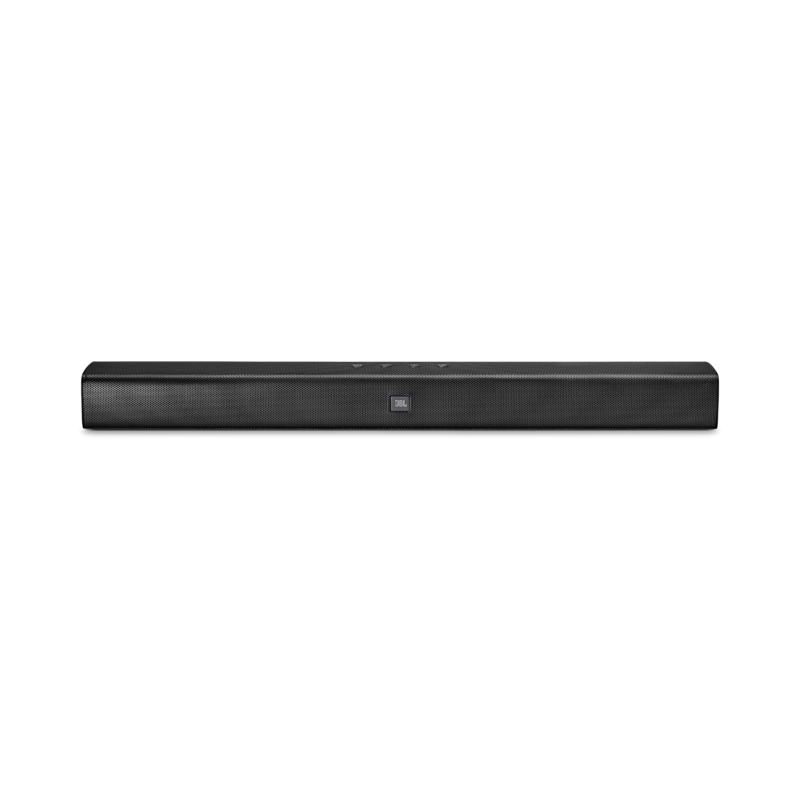 Rated 5 van de 5 door Facoq uit Excellent Heureux possesseur de la JBL Bar Studio depuis fin décembre 2018 je suis bluffé par le rendu sonore de cette barre de son sans caisson de basse.Son solide et percutant.Beaucoup de basse.Elle n'a rien à envier à sa concurrente la BS5 bien au contraire et elle est même mieux notée que cette dernière sur What Hi-Fi? : https://www.whathifi.com/jbl/bar-studio/review JBL toujours au top. Branchée en HDMI ARC sur un téléviseur Philips , le top fonctionne directement avec la télécommande du téléviseur. P.S. : Pour les personnes qui se plaignent d'un écho, pensez à désactiver les hauts parleurs du téléviseur tout simplement . 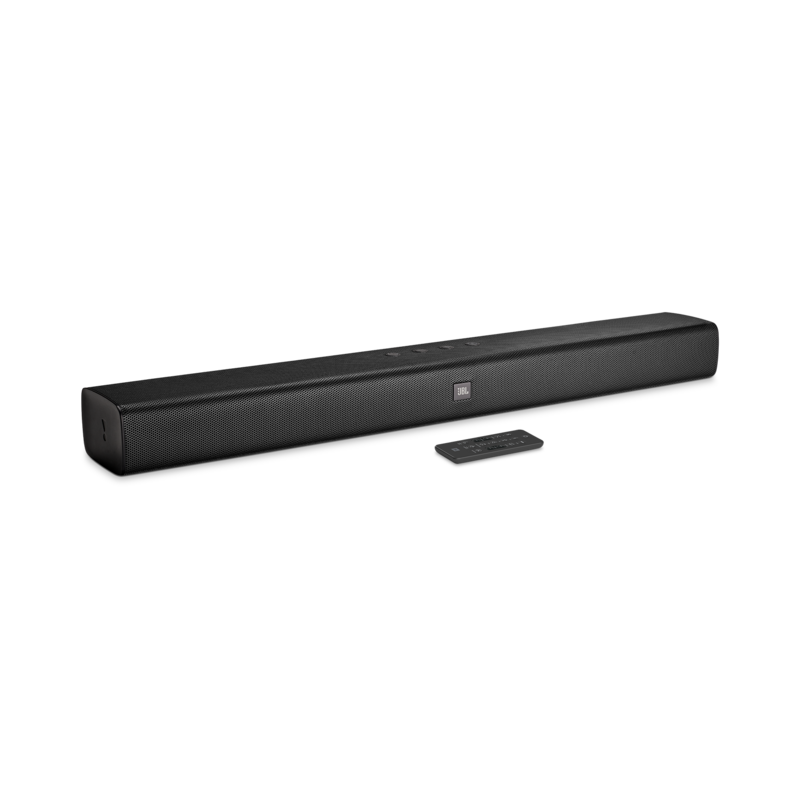 Rated 5 van de 5 door Mockers uit Size Isn't Everything Why are soundbars so huge and powerful? For an average living room, 30 watts is plenty for all your viewing. Small enough to fit in front of the screen, this is an immense improvement over the slightly smaller cheap Argos job it replaces. All the connections work well, and the auto-off makes it simple to manage. One improvement that could (?) come from a firmware upgrade would be to give it LDAC Bluetooth now this is available. Rated 5 van de 5 door Joci uit Great sounding Tv and music streaming Bought an open box for $99 which was just missing the wall mounts. I planned on mounting right in front of the TV. Love the sound of voices, sound effects, and especially music from my streaming service. Couples as a Bluetooth device as well. Great bang for my buck-definitely recommend. Rated 3 van de 5 door MB23 uit Super toll bis auf eines :/ Bin zufrieden mit dem produkt, funktioniert alles bis auf eines. Wenn ich Netflix oder Amazon schaue, hab ich bei leisen Sequenzen aussetzer am gerät. Hört aufeinmal mit dem Ton auf & geht dann irgendwann wieder weiter. Das passiert 5 - 10min immer wieder. Hat jemand ahnung warum das so ist & was man dagegen tun kann? Hi, As your question requires troubleshooting by our Product Specialists, we invite you to contact the Harman Customer Support team by telephone, email or chat in order to receive direct assistance. Please see https://uk.harmanaudio.com/support-contact.html#ns for further details. Thank you. Hej g&aring;r det ansluta subwoofer till Bar Studio? Tack f&ouml;r din fr&aring;ga. Tyv&auml;rr s&aring; g&aring;r det inte att koppla en subwoofer till en JBL Bar Studio. I bought the bar studio around half years ago, it suddenly produces no sound on ANY sound mode (even after all reset, it connected through bluetooth, my phone can control it but no sound). Is there anything I've missed? It's hard to tell if it is powering on/off. I have connected to Bluetooth device and when I power the Soundbar off, it seems to remain connected to the device and wakes up automatically when I play more music. 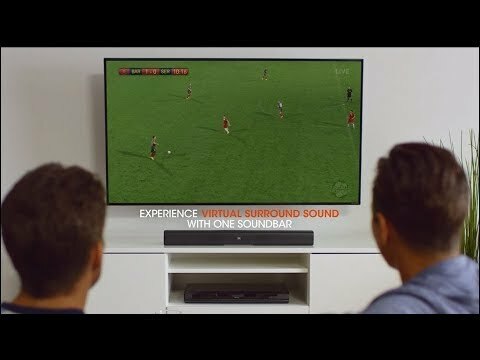 Is the soundbar compatible with Google home? No, the JBL BAR Series does not have Wi-Fi capability in order to work with the Google Home App.